Cyclodextrin (and) Sorbitol (and) Polyglyceryl-3 diisostearate. Beauté by Roquette® DS 146 by Roquette is a natural O/W emulsifier system. It is very efficient in emulsions containing a high level of oil and sunscreens. This natural emulsifier system provides a dry & smooth skin feel. This non-ethoxylated system is compatible with mineral or chemical UV filters, emulsifies all types of oils (ester, mineral, vegetable, silicone) to develop variety of texture (spray, lotion, cream). It can be incorporated into both the water or oil phase. 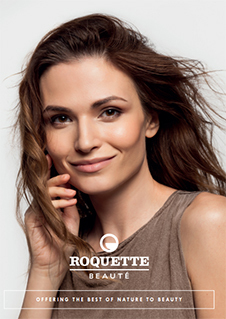 Beauté by Roquette® DS 146 is a ready-to-use powder, convenient for cold process and suitable for a wide range of cosmetic products. Compliant with US, EU, China and Japan regulations.